Safety concerns have been raised regarding a crossroads outside Ballymore Eustace. Local election candidate Evie Sammon says there has been four crashes since January at Perrystreet Crossroads (R411xL2026). The crossroads leads straight towards Hollywood, right for Kilcullen and left for Silverhills. “Myself and Suzanne Byrne (a resident with a business not far from the crossroads) decided that to keep the crossroads a matter of priority we would start a petition among residents, not only to get action from Kildare County Council but also to raise awareness about the danger of the crossroads,” said Ms Sammon. “The petition has been going around since Monday March 25 and residents are collecting as many signatures as possible to present to KCC,” she added. Ms Sammon said the issue was first raised by TD Martin Heydon in late January and subsequently SLOW signs were painted on the road by the Council in early March, the day after the 3rd crash of the year. 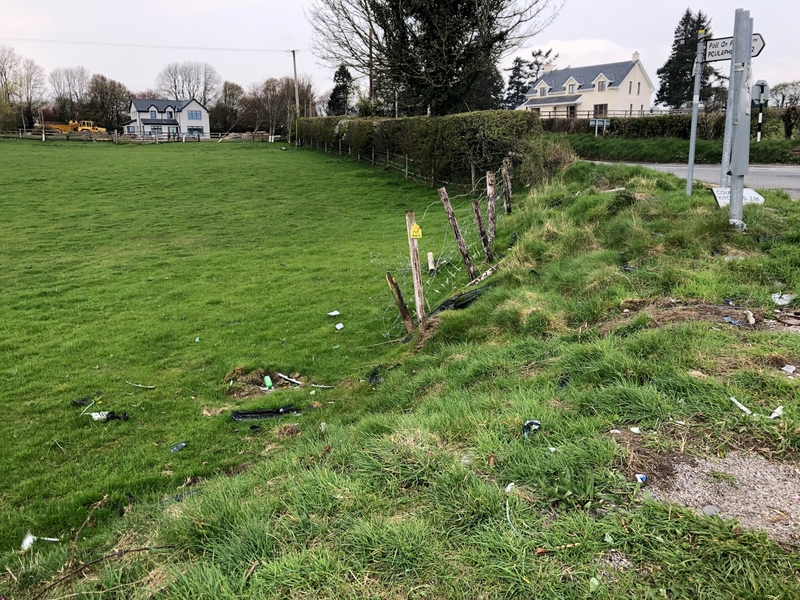 “Martin Heydon TD and I met with local residents of Perrystreet Crossroads in Ballymore Eustace on Saturday March 9 after residents raised concerns with us due to several crashes at the crossroads, in particular a bad crash in which a car, carrying two small children, ended up in the field opposite the junction. "There was another crash at the crossroads on Sunday, April 7. "Fortunately, no one was hurt but residents are very fearful that it is only a matter of time. Efforts continue to agree a satisfactory course of action to make it safer." Ms Sammon said she understands gardaí and the Council are in discussion, and the issue will be raised before the last meeting of the Naas area committee of KCC.